Surface Mining Applications – Hartline Supply Inc.
Hartline Supply can meet all your electrical cable needs for surface mining. 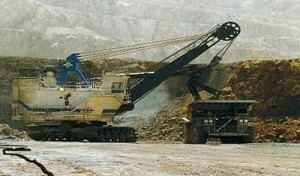 This dragline is used by surface mines to remove overburden (dirt and rock) from coal, phosphate, or whatever other product is being mined. To the left is a radial stacker. 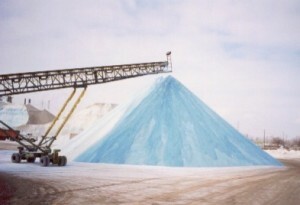 It is stockpiling the product to be processed further or transported. Here is a truck being loaded by a frontend loader. The product being mined must be transported either via truck or a continuous conveyor belt system. 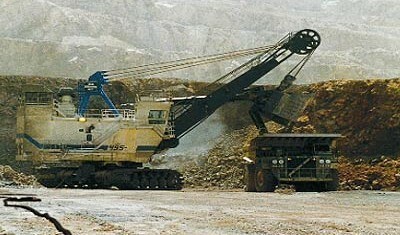 Most mines load product with either frontend loaders or shovels. This picture shows a shovel loading a truck. 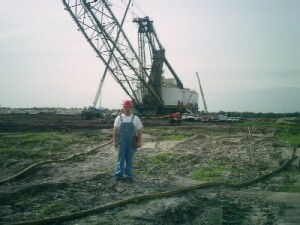 To the average person, a shovel and a dragline look similar, but are very different. Draglines, shovels, and radial stackers all use power cable that needs to be repaired or replaced from time to time.